Hi my name is Olivia I am 14 years old, and art is one of my favourite hobbies. I started painting when I was 5 at Stoney Creek School of Art. 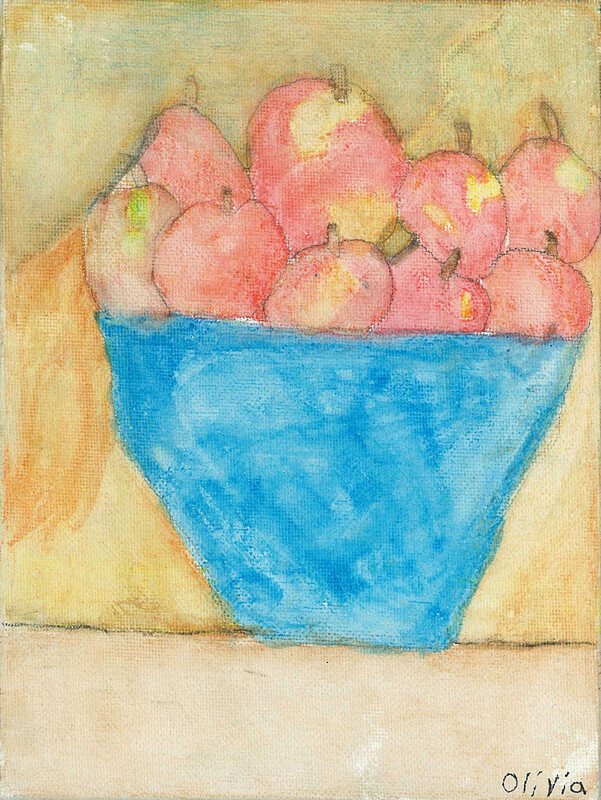 I got an art set for Easter when I was 6 years old and my first painting with my art set was my Bowl of Apples. Now I am currently working on new paintings and my art can be bought as a card or as a print in many shops in Grimsby, Vineland and Niagara on the Lake. For a complete listing of the shops go to the “Where to find” page. I’m also at local art events where you can buy my artwork. Olivia your website looks very good. I especially like the butterfly. Hi Olivia …..nice artwork. Talk to you soon.